It gives me immense pleasure to welcome you all in this sacred grand Kuenray of Tashichhodzong to observe this auspicious event of the International Day of Happiness. On behalf of the Royal Government of Bhutan and on my own behalf, I would like to wish all a very happy International Day of Happiness. Further, the General Assembly in its resolutionof 12 July 2012 proclaimed 20thMarch as the International Day of Happiness, thereby recognizing happiness and well-being as universal goal and aspiration in our lives and the importance of its recognizing the need to include the pursuit of happiness in public policies. Since then, the interest on happiness has gained further momentum around the world. Happiness has struck a global chord. We have also seen a profound shift in our attitude and approach towards development across the world. A growing number of countries, leaders, public and civil society organisations, academia and most importantly individual citizens are starting to question the way we measure progress and are recognizing that happiness is fundamental to human existence. Among many laudable initiatives around the world, the convening of the annual World Government Summit in Dubai and the creation of the Global Happiness Coalition is noteworthy. The Sustainable Development Solutions Network by hosting the Global Council for Happiness and Wellbeing and by engaging universities around the world to join the happiness and well-being discourses through research, teaching, and engagement are commendable. 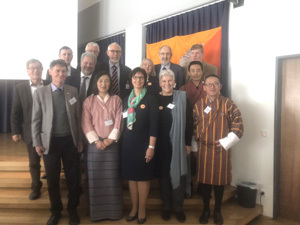 On our part Bhutan has so far organized a number of international conferences on Gross National Happiness(GNH) and we would like to commend the Centre for Bhutan Studies, the Gross National Happiness Commission and all other partners for their continued efforts in disseminating happiness to the world. 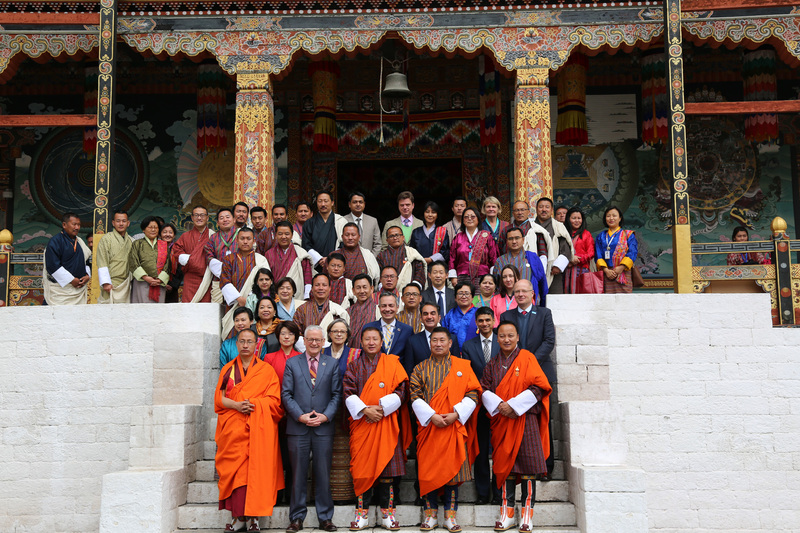 The pursuit of GNH is a national priority and will always enjoy importance in our national discourse, planning and policies as was evident from the recently concluded Round Table Meeting where a session was devoted to GNH. We also take note of many other interesting initiatives such as “Beyond GDP” initiative in Europe and the OECD’s ongoing work on how to “Measure what we treasure” and a number of other initiatives undertaken in the United States, United Kingdom, India, Australia, Canada, Thailand and Brazil among others. The Royal Government would like to extend our appreciation to these noble initiatives. With the adoption of the agenda 2030 and the Sustainable Development Goals in 2015 another historic milestone in the development history was laid. The SDGsare the foundation for achieving inclusive development without leaving no one behind and they are indeed, a framework and a roadmap for global happiness and well-being. Statistics indicate thatcountries that enjoy the highest levels of well-being are those that have the highest social capital, the most inclusive and equitable economies, and those with policies that effectivelyprotect and promote the natural environment. Therefore, SDGs promise to increase the levels of global happiness and well-being. We all understand that happiness is a state of mind. Therefore, happiness does not depend on what you have or who you are, it solely relies on how you think. Happiness is also not about getting all you want but being content and grateful for what you have. Therefore, training of the mind through spiritual pursuits are an important element of being happy. However, we cannotrelegate the subject of happiness to individuals only. The Governments, political leaders, international organisations, the multinational companies and private businesses, CSOs all have a shared responsibility to create the enabling environment and conditions for individuals to pursue lifelong happiness. 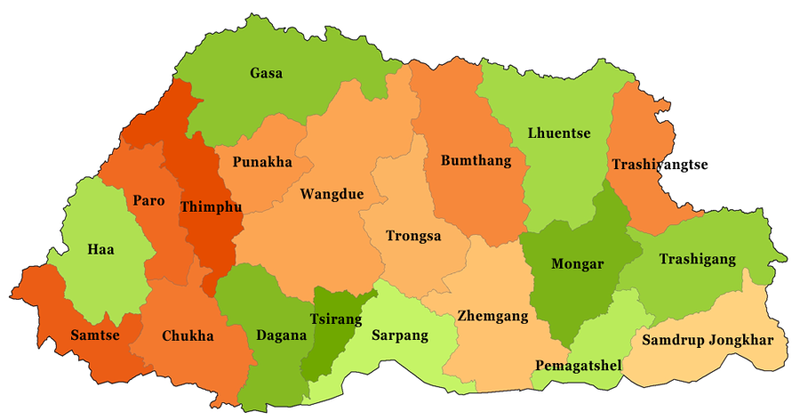 This is where, we believe, Bhutan’s developmental philosophy of Gross National Happiness plays an important role as it seeks to balance the economic prosperity with spiritual development. 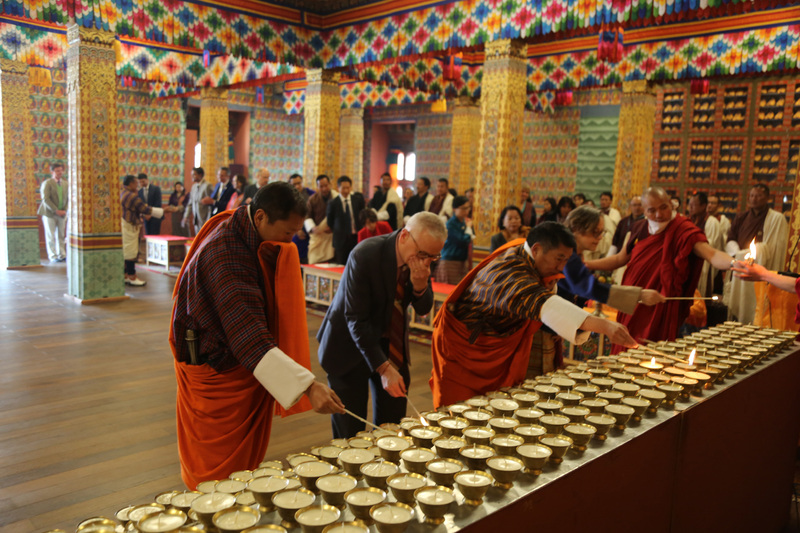 Pioneered by His Majesty the Fourth King of Bhutan JigmeSingyeWangchuck, GNH has been the unifying force behind all policy formulation in Bhutan and has shaped the country’s five-year development plans since its inception. In the words of our beloved monarch His Majesty the King, GNH simply means “Development with values”.GNH values teaches us moderation and to take the middle path. You would all agree that excesses and extremities do not bore well neither for individuals nor for societies and nations. As we gather here to mark the day of happiness, let our prayers reverberate around the world and bring peace, harmony and happiness. By observing this important day every year, we reaffirm our strong desire to pursue happiness as our ultimate goal and rededicate ourselves to make the world a happy home for ourselves and for the future generation. Let’s make happiness the number one priority. Finally, it is my pleasure to inform the gathering that on the occasion of the International Day of Happiness 2019 the Permanent Missions of Bhutan, Costa Rica, Denmark, Italy and the United Arab Emirates in collaboration with the Sustainable Development Solutions Network and the Ernesto Illy Foundation are convening a special event on happiness and well-being as a public policy prerogative in New York. The highlight of the event will be the launching of the World Happiness Report 2019 followed by panel discussions on sharing experiences on promoting happiness and wellbeing. I take this opportunity to thank all of you for joining us to celebrate the international day of happiness. © Copyright 2016,Ministry of Foreign Affairs.